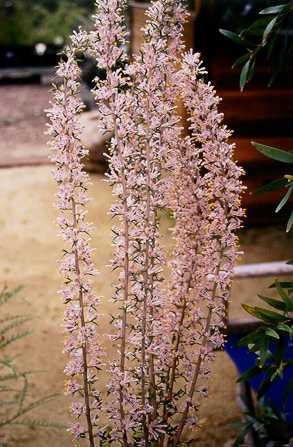 Small shrub, 3-6', with erect habit and pink & grey flowers. Beautiful in flower! Suitable for most well-drained soils in full sun or partial shade. Prune for more compact growth habit. Tolerant of moderate frosts and extended dry periods. Suitable as a container plants and cut flower.